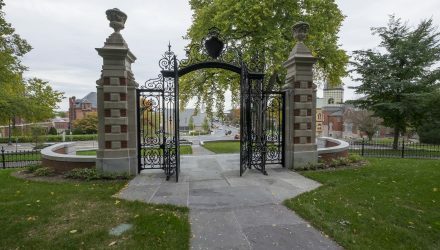 Smith has joined 67 of the nation’s most respected colleges and universities in an alliance called the American Talent Initiative, which aims to expand the number of talented low- and moderate-income students at America’s undergraduate institutions with the highest graduation rates. 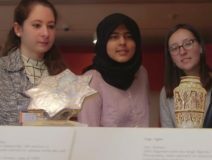 A significant gift of Islamic art objects from the collection of Elinor Lander Horwitz ’50 has transformed the Smith College Museum of Art’s holdings and enhanced teaching across the curriculum. An exhibition of the artifacts opens to the public on Friday, May 5, beginning with a reception from 2:30 p.m. to 4 p.m. in the museum's atrium. 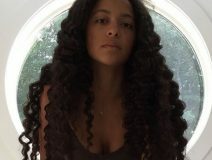 Zora Casebere ’20, whose mother is photographer and multimedia artist Lorna Simpson, is featured in Vogue magazine sharing the politics and art of hair care for black women. Casebere, a theatre and Africana studies major at Smith, says the decision to never cut her hair—save for trims—was one she made with her mother as a child. Director Emma Laube ’17 recently debuted a production of Euripides' play Bakkhai as a full-fledged rock concert. 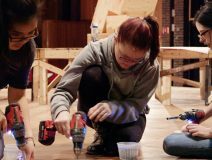 Go behind the scenes to see how she and Ed Check, senior lecturer of set design, galvanized all the talent and teamwork of the Smith College theatre department to bring the Greek classic to the stage. On Tuesday, May 9, connect online with Smith alumnae from your industry or chat with a career coach who can help answer your questions and review your resume or LinkedIn profile. There will be two events on the same day: one at noon Eastern time, the other at noon Pacific time. Summer's coming, and if you're looking for a good book to enjoy on vacation, there are plenty by Smithies. Check out WordSmith, a list of fiction, poetry and nonfiction books written by Smith alumnae. Updated regularly, it can be your one-stop resource for the most recent titles penned by Smith authors. Happy reading!